You are here: Home › Stayfitcentral Health & Fitness Blog › Health & Fitness Blog › Crossfit › Low Carb Diets And Crossfit – Can They Work Together? Low carb diets and Crossfit workouts don’t mix. You won’t be able to train intensely, get stronger, or build muscle. 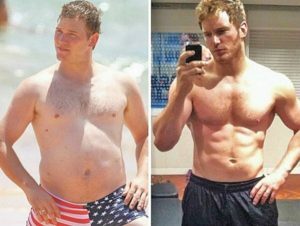 These are claims that many trainers, coaches, and other fitness ‘experts’ make. You may feel this way too. I certainly did. Then, I read the research and decided to give eating low carb a try. I also did Crossfit workouts every day. What results did I get from eating a low carbohydrate diet (<75 grams of carbs daily) and doing Crossfit workouts? I got a lot stronger, built up my work capacity doing hundreds of kettlebell swings and MetCons, built muscle and I lost 50 pounds of fat. I’m not the only person having success with eating a very low carb, high fat diet while still training hard daily. A simple Google search finds hundreds of thousands of people, many of them athletes doing high intensity sports (Crossfit Games, strength training, gymnastics, soccer, etc.) who also get better results from this way of eating than the commonly recommended high carb/low fat diet. athlete Julie Foucher limits carbs from her diet. Here’s a list of a few Crossfit and other elite athletes that eat low carb. 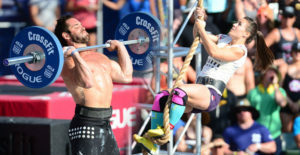 Crossfit Games Athletes – including 2015 winner Ben Smith and Julie Foucher, and Cole Sager thrive eating low carb foods like fatty cuts of steak, eggs, flourless brownies, and even cauliflower pizza. Lebron James – went low carb in the off-season and then carried his team to an NBA final. Norwegian Soccer Team Strømsgodset – switched to a low carb diet and won their league. Scientists are getting similar results from their research as me and the athletes listed above. There are two recently published studies worth mentioning in this article. After reading you’ll know exactly what lots of fat, and minimal amounts of carbs can do to our performance in the gym and on the court. You’ll also learn just how much fat you can lose and muscle you can add to your body eating this way. Study 1 – Does A Low Carb Diet Affect Intense Workouts? Whether you do Crossfit or any similar high intensity workout results from a recent study shows that cutting carbs out of your diet and eating more fat won’t hurt your workouts and fitness. In this study, elite gymnastic dancers followed a 30 day low carbohydrate diet. Their diet consist of – meat, fish, olive oil, vegetables. Before and after 4 weeks of low carb eating the women being studied performed a variety of exercise tests. They included – (hanging straight leg raises, push ups, parallel bar dips, pull ups, squat jump, and 30 seconds of continuous jumps). Results from the study shows that the gymnasts following both diets Western or ketogenic improved their strength and intensity at which they could exercise all-out (sprint). Study 2 – Can You Lose Fat And Build Muscle Eating Low Carb? In this study, researchers had a group of college aged men eat a typical Western (high carb/low fat) or ketogenic diet for 11 weeks. During this time they also lifted weights 3 times a week. Every guy in the study had their body fat and muscle mass measured before, during, and after the study. Check out the results below. You’ll quickly see they speak for themselves. The guys eating a low carb diet lost almost twice as much muscle (10 lbs. vs. 5 lbs.) as the guys eating a Western diet. They also lost almost double the body fat than the guys eating a Western/high carb diet (5 lbs. vs 3 lbs.). As you see from my personal results, the athletes listed, and the results from these studies eating low carb isn’t just okay for workouts like Crossfit, it can actually be better for our performance and overall health. The most important thing to consider with this diet is remember to be patient. It’s going to take a little time (3-14 days) for you body to adapt to burning fat for fuel. You may feel a little sluggish and tired during this period. Don’t give up. The extra energy you’ll soon feel and accelerated rate at which you burn off fat and gain muscle make it worthwhile. There are also things you can do to make the transition easier. I’ve listed the most effective tips below. Don’t skimp on salt. Your body loses additional salt and other electrolytes when adapting to this diet. Make sure to add a little extra salt and eat potassium rich foods (Brussels sprouts, salmon, etc.) to replace them. Eat your fat. Don’t be afraid to eat fatty foods. Cook with butter, pour olive oil on veggies, and order fatty cuts of meat. This will help keep you full and minimize cravings for carb and sugar rich foods. Check labels. You won’t have to do this forever but it’s good to check labels to make sure you’re not eating too many carbohydrates (no greater than 30-50 grams/day). Skip diet sodas and other artificial sweeteners. Studies show they make you hungry. Ignore your feelings. Don’t let occasional bouts of hunger or cravings for carbohydrate-rich foods get you down. Remind yourself that this too shall pass and before you know it the cravings are gone. Drink lots of water. It will help to stay hydrated and feeling full between meals. The right nutritional supplements will help you transition easier to burning fat as fuel. They’ll also make sure you’re able to put 100% into every workout. You may recognize many of these supplements from our article ‘The Top 9 Supplements Crossfit Supplements’. 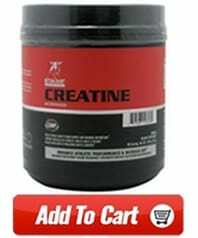 Creatine Monohydrate – in addition to building muscle, it can increase your strength and ability to recover faster between every intense set. 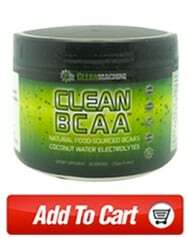 BCAAs – act as a source of energy during your workout. They’re also shown to diminish cravings and prevent the brain fog that you can feel. MCT Oil – a natural sources of ketones, what your brain and body use for fuel when eating low carb. This gives your body the ketones they need for fuel until it’s producing their own. 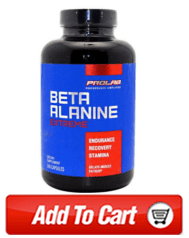 Beta Alanine – delays fatigue during intense workouts so you can train harder, longer. 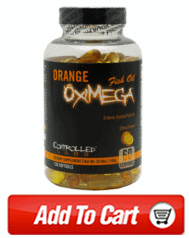 Fish Oil – delays fatigue when you work out, decreases cravings, burns fat faster, etc. ZMA – helps you get a restful nights sleep and recover so you can train hard every day. Now you know the truth, it’s possible to not only train hard when eating a low carbohydrate diet, but you can also get stronger, build muscle, and lose fat at the same time. The more adapted you become, the greater the benefits. Jacob T Rauch, Jeremy E Silva, Ryan P Lowery, Sean A McCleary, Kevin A Shields, Jacob A Ormes, Matthew H Sharp, Steven I Weiner, John I Georges, Jeff S Volek, Dominic P D’agostino, and Jacob M Wilson, corresponding author. The effects of ketogenic dieting on skeletal muscle and fat mass. J Int Soc Sports Nutr. 2014; 11(Suppl 1): P40. Roberts MD, Holland AM, Kephart WC, Mobley CB, Mumford PW, Lowery RP, Fox CD, McCloskey AE, Shake JJ, Mesquita P, Patel RK, Martin JS, Young KC, Kavazis AN, Wilson JM. A putative low-carbohydrate ketogenic diet elicits mild nutritional ketosis but does not impair the acute or chronic hypertrophic responses to resistance exercise in rodents. J Appl Physiol (1985). 2016 May 15;120(10):1173-85. Tinsley, Willoughby DS. Fat-Free Mass Changes During Ketogenic Diets and the Potential Role of Resistance Training. Int J Sport Nutr Exerc Metab. 2016 Feb;26(1):78-92. The Best Weight Gain Supplements For Rapid Results!